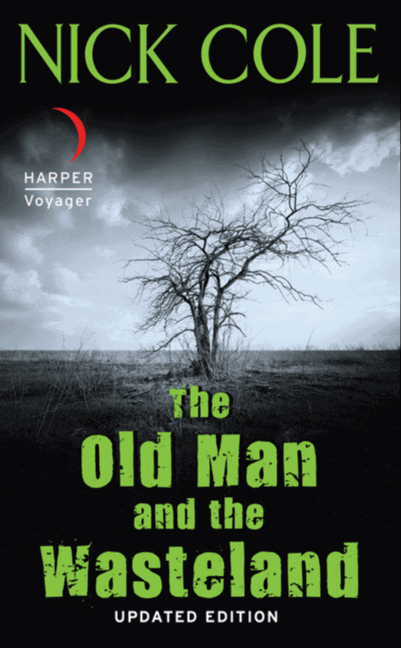 Out now, our digital updated edition of Nick Cole’s fabulous post-apocalyptic novel THE OLD MAN AND THE WASTELAND. To celebrate, Nick tells the story before the story and how his doomsday unfolded. Every book has got to begin somewhere. Often the circumstances, though seemingly fantastic, say as found in a Space Opera, are still pastoral. Setting is the way life is, and the characters within have only ever known it that way. But in the world of Post-Apocalyptic fiction, or PA fiction, the change from pastoral to doomsday is part of the tale. They want the world turned upside down, shaken not stirred and served into a cracked martini glass at a roadside fortress gas station where everyone wears leather, drives souped-up Dodge Chargers and carries a shotgun. Maybe. Or at least some of them do. An American President, politically moderate before the attack, shifts wildly to the militant-right as the nation calls for a bloodletting. American forces airstrike three middle-eastern capitals: Damascus, Tripoli, and Tehran. An American expeditionary force lands in North Africa with the intent of a Sherman’s March to the Sea-style invasion in an effort to devastate the Muslim world. Mid-invasion, a charter airliner flashing the correct Homeland Security transponder codes, explodes at high altitude over the Northern Hemisphere of the Unites States. The powerful EMP disables most everything from cell phones to toasters to early warning radar detection systems (Unless they happened to be switched off at the time of the pulse.) Within hours the city of Dallas experiences a high yield, low altitude nuclear explosion delivered by terrorist cells operating out of Mexico and piloting drone aircraft. For the next two weeks, a city a day is destroyed by drone-piloted, nuclear weapon carrying aircraft. A coalition of Muslim countries announce that the drone strikes, funded and powered by Chinese technology stolen from U.S. developers, will continue until the American Army, currently driving toward Saudi Arabia, surrenders completely. The President of the United States authorizes a full scale nuclear strike by bomber aircraft against all the major capitals of the Middle East. Bombers receive their codes and commence their attack. A Chinese fleet preemptively strikes the Northwestern United States. The President authorizes the use of T-LAN nuclear ordinance to repel the invasion. The world is beset by raging wildfires, disease, and starvation at heretofore unimagined levels. Within months, darkness due to the ash cloud that surrounds the earth, a mini ice age descends across much of the planet. A nuclear winter ensues. Pictured from space by the few remaining Satellites that still circle the planet, the Earth is much the same, but gone are the lights of cities and civilization that once burned in the night. Only the occasional large-acreage forest fire, burning out of control, can be seen in the night.